« It must be mid-March~! 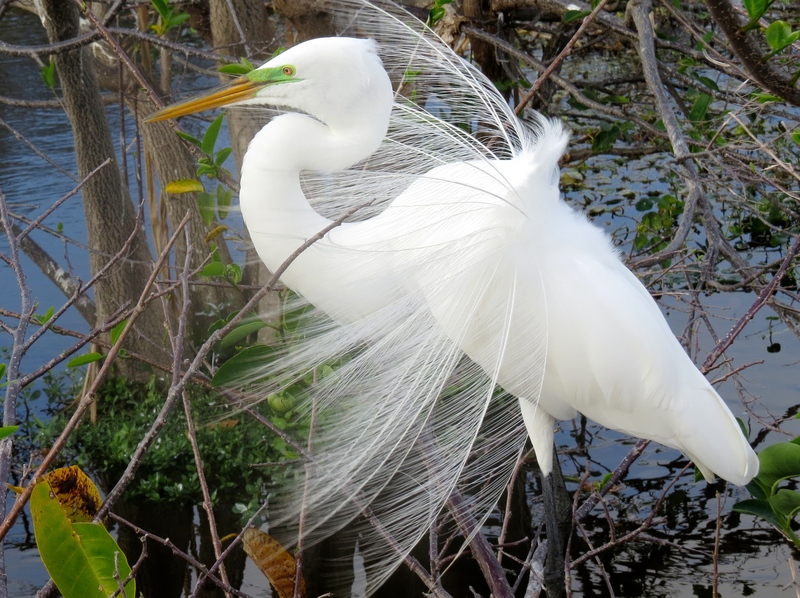 How beautiful they are and even more so when they are decked out in there breeding plumage! thanks for sharing these great pics. Thanks for your visit! Hope you are having a spectacular week, Aussiebirder! 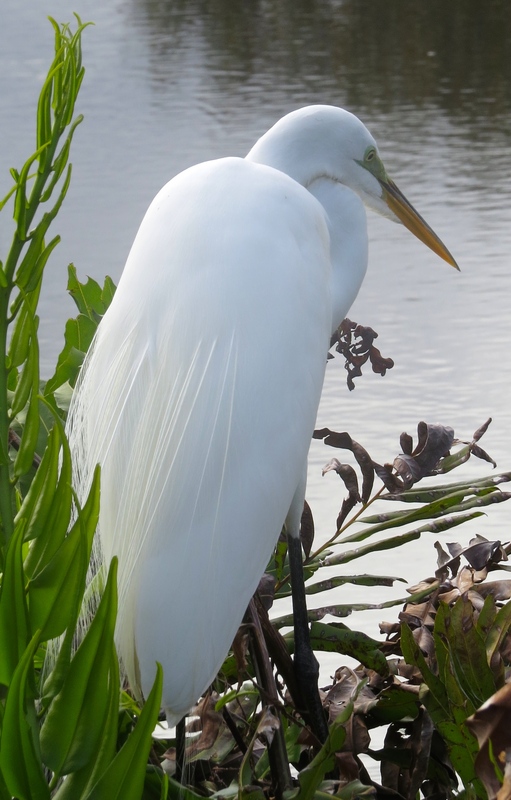 I do love your photos go the Great Egret. I wish I would see them here. 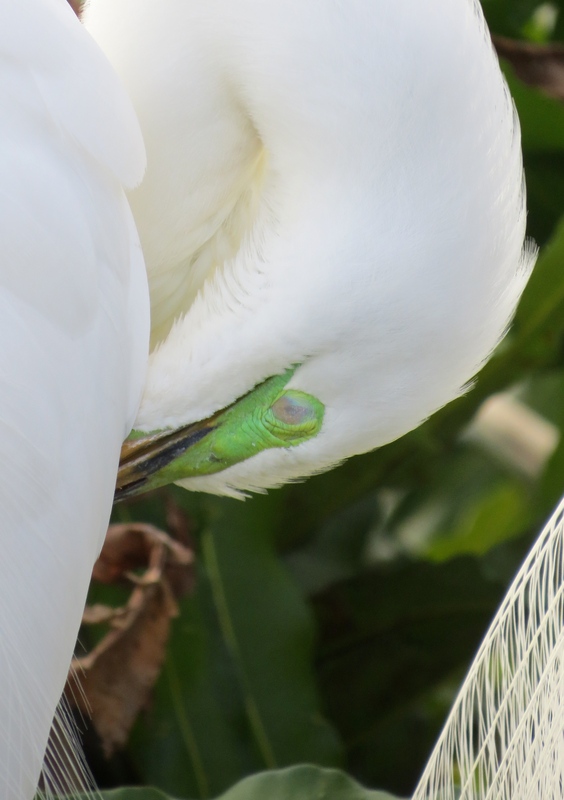 You are right they are a graceful bird. Thanks, Donna! 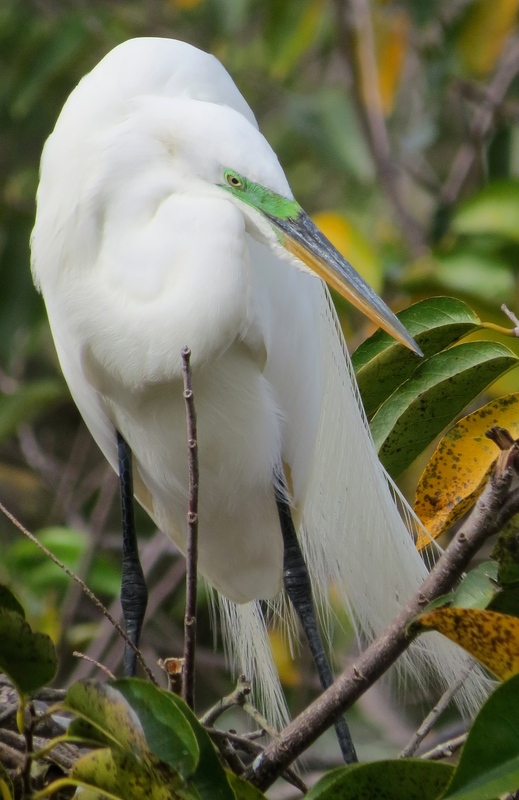 I actually used to see a Great Egret or two in the fall at a preserve near Albany NY. I always wondered when they left to head south. 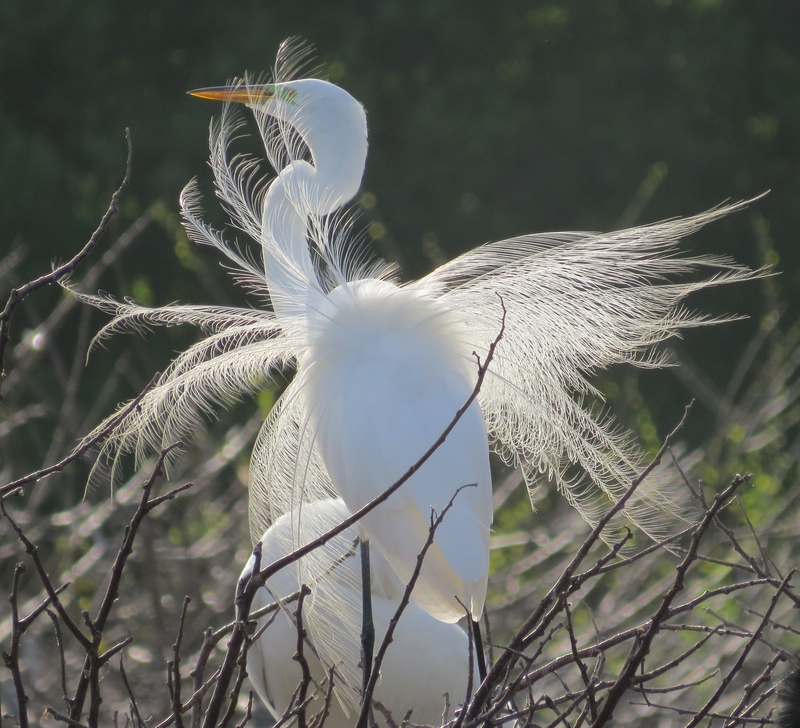 The green lores are spectacular and the breeding plumes add additional beauty to the Great Egrets, which you highlight so well in your photos. I hope it won’t be long before we see some in our area, not what the ice is slowly melting. Thanks, Mike! Yes, they really do get fancy. 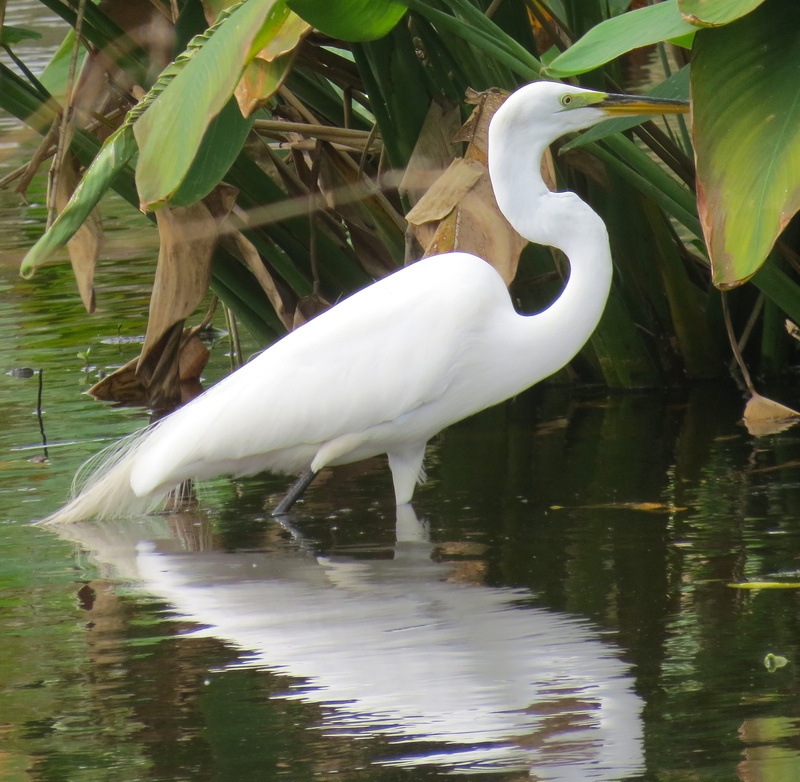 I’ll be watching your blog this spring for egret photos, along with all the other wonderful birds you post! 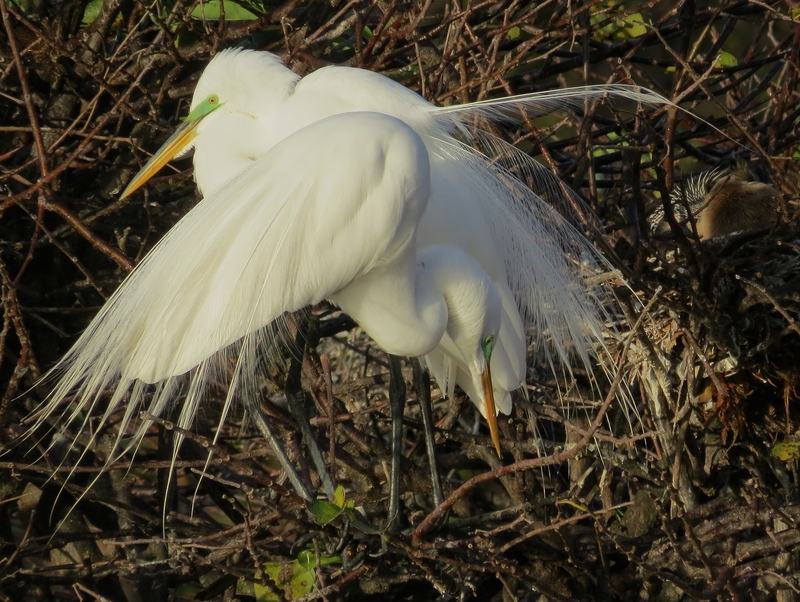 I love to see these birds in breeding condition with all that extra fluffy plumage and bright green lores! So funny you mentioned they can be found in drainage ditches. 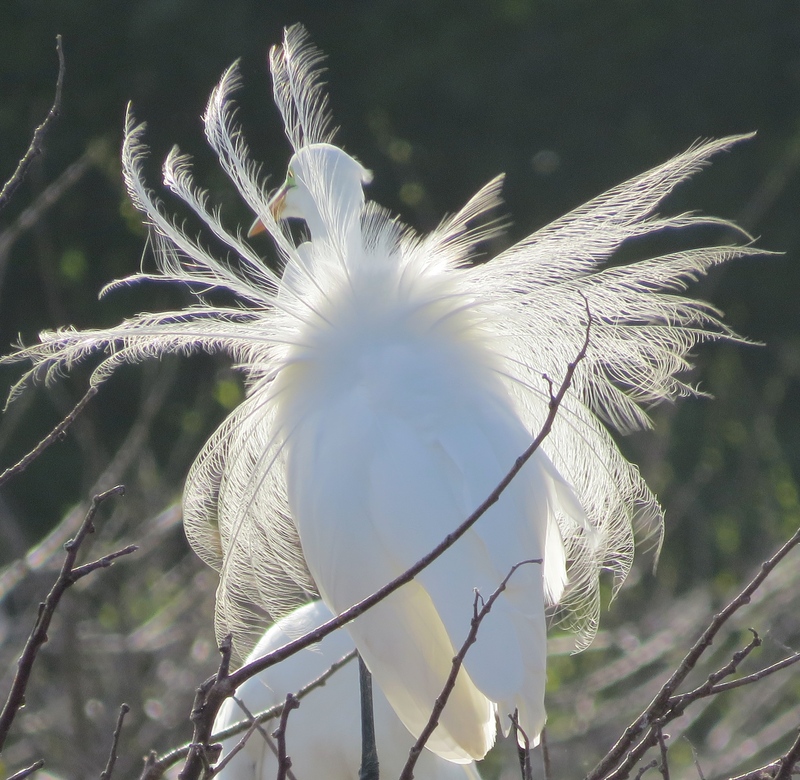 We often see them next to a road here and call them Ditch Egrets which we expect they would not like. LOL, Everyone looks so much more sophisticated at this time of year! 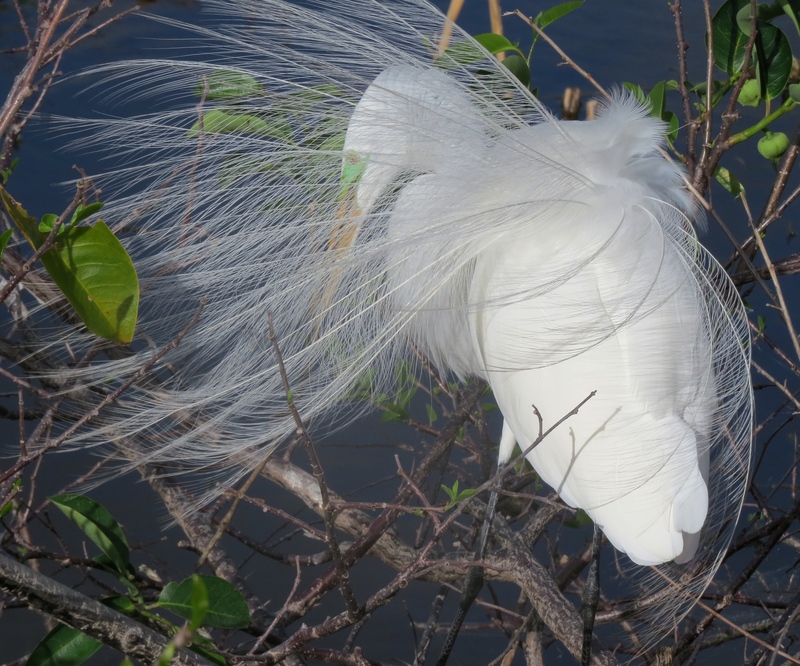 I love how even the plain Cattle Egrets develop all manner of colors on their heads. 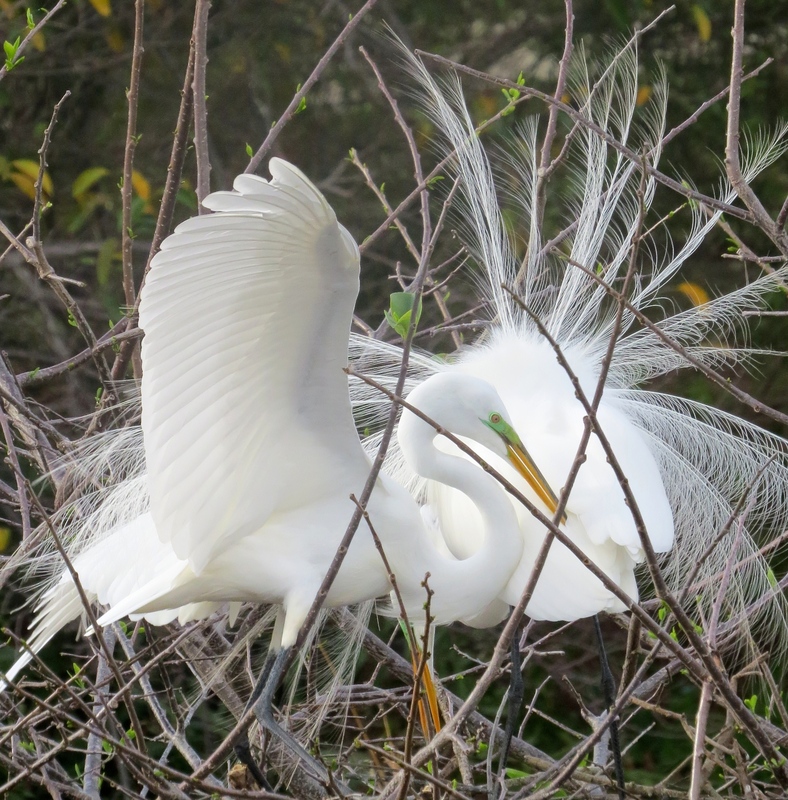 Soon, even the usually lovely Snowy Egrets will become even more beautiful with their red legs and red facial colors.